Titanfall – Will It Swing The Console Battle? Now that we are only hours from the release of 360/XB1/PC exclusive Titanfall there are many in the gaming community that may be seeing this as the first launch of a next-Gen console missile strike of sorts. 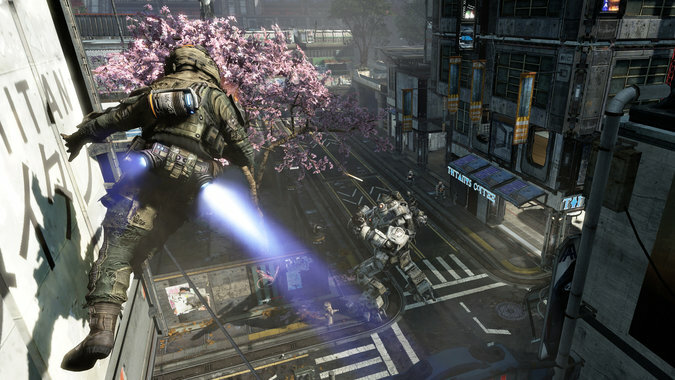 Titanfall is developed by the former founders of Call of Duty’s Infinity Ward. While this might already drive many to consider this game as some sort of ‘sci-fi/mech COD’ doesn’t seem to veer from that as it is only for online multi-player action. Titanfall is the first major post-launch console exclusive for next-gen systems. Titanfall is also coming out on XBox 360 as well as the newer XBox One. This might be one of the more frustrating aspects for gamers that noticed a drastic drop in quality of development of games like Battlefield 4 when comparing console performance. Titanfall has amazed many eager gamers with videos and other announcements that make this game something new in the shooter market. It isn’t as if there has been a shortage of shooter games over the last eight years of 360/PS3. Some have been stellar (COD, Halo, Battlefield and Gears of War). Others have fallen flat (MAG, Frontlines, Unreal Tournament and the list goes on). Now, on the eve of the first real battle of the next-gen console war we are getting ready to see if Titanfall will be a dramatic success or a colossal failure. Author NoobTubeTVPosted on March 10, 2014 March 11, 2014 Categories Gaming Blogs, News, Reading, ReviewsTags COD, COD Ghosts, Exclusive, Fall, Infinity Ward, MW, MW2, ReSpawn, Titan Fall, Titanfall, Titans, XB1, XBONE, XBox One ExclusiveLeave a comment on Titanfall – Will It Swing The Console Battle?